Taveuni (Fiji's Garden Island) has a unique quality that is hard to find in today's world; it is unspoiled. Here exists an ecosystem of incredible diversity ... rugged mountains, verdant rainforest, exotic flora and fauna, plus the surrounding sea with its colorful reefs and multitude of tropical fish. A visitor to Taveuni will soon appreciate that the 'Garden Island' applies not only to the landscape, but also to the underwater coral gardens. Together with the island's unmatched beauty lies the beauty of Fiji's people who are some of the most delightful in the world. Garden Island Resort is an intimate oceanside property with 30 well appointed rooms, each with a commanding view of the Somosomo Strait and the island of Vanua Levu. The Resort provides a quiet and relaxing lifestyle in tropical surroundings with pleasant, attentive staff and fine international cuisine. Spend your time sunning by the pool or diving the Rainbow Reef; sit back on your ocean-front balcony and enjoy a magnificent sunset; or take off and explore the beauty of the island, it's up to you! Our knowledgeable staff will be happy to help you arrange a variety of activities including sea kayaking, visits to waterfalls, village and cultural tours, golfing, bird watching, rainforest treks, snorkeling and scuba diving. Garden Island Resort, nestled in the heart of Taveuni, provides a comfortable home away from home for your South Pacific holiday adventure. Aqua-Trek Taveuni at Garden Island Resort is the first Gold Palm Resort to be awarded by PADI Australia in their region! 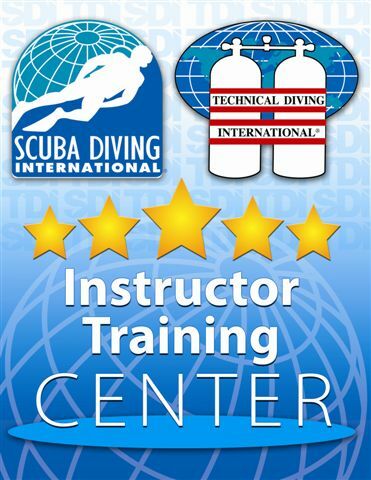 "This award recognizes PADI International Resort Association members that present a professional image, and demonstrate excellence in customer satisfaction, dive experiences, education, safety and environmental awareness". Fed by the nutrient-rich waters that flow through the Somosomo Strait, Taveuni's Rainbow Reef is home to one of the world's greatest displays of soft coral. In short, scuba diving in Taveuni is world class. Aqua-Trek Taveuni (formerly Rainbow Reef Divers), the Resort's professional dive operation, is Fiji's first PADI Gold Palm Resort facility and Taveuni's first nitrox facility. They offer daily dive excursions to the Rainbow Reef, a full range of PADI dive courses, and on-site E-6 processing. Garden Island Resort is the closest establishment to the Rainbow Reef. In just 15-20 minutes our swift 30 foot custom dive vessels will whisk you away to famous dive sites such as the Great White Wall, The Ledge, Annie's Bommie, Blue Ribbon Eel Reef, and many more. Known in the colonial days for its prodigious coconut plantations, today Taveuni is a landmark for divers. Beneath the surface of the sea lies an incredible eco-system that rivals the rich bio-diversity found on land. Fed by nutrients that emerge from the depths of the Tongan trench, Taveuni is famous for its multitude of reef fish. However, if there is one trademark or signature species in the area, it is soft coral, which billows and undulates in the currents. Soft coral comes in dramatic, often electric hues of orange, red, pink, and white-fringed by purple. Aqua-Trek Taveuni dives the Somosomo Strait, a narrow waterway located between Taveuni and Vanua Levu. Scuba diving in the Somosomo Strait is said to be "... unequaled anywhere else in the world". Along the southeast shore of Vanua Levu one will find a barrier reef continually fed by microorganisms washed in by the currents which are driven by the narrowing of the funnel-like strait. Protruding into the strait from the Vanua Levu side is the magnificent Rainbow Reef. Here one can find one of the most famous dive sites in the South Pacific, the Great White Wall. There are a number of other world class dive sites located throughout the area and new attractions are found all the time. It is estimated that divers have explored only 3 percent of the entire reef system in the Taveuni area. Garden Island Resort is on the north coast of Taveuni, which happens to be directly offshore from the Somosomo Strait. The distance of the sites ranges from 10 to 20 minutes by boat. A typical dive involves mooring, briefing, descent down a line, and a guided tour. Drift dives are done when site and tides are favorable. Photogaphers will enjoy having a full-service photo center with E6 processing on site as well as dedicated rinse tanks. Camera rental and film sales are also available. Nitrox divers are encouraged to take advantage of the only dive center on Taveuni offering Nitrox. 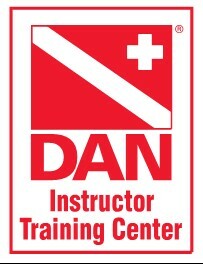 There are also Nitrox regulators for rental, and courses in enriched air diving are available. 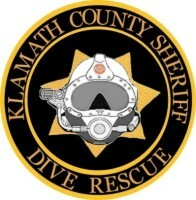 A small retail sales section offers diving accessories and souvenirs. Alcoholic beverages, Soda Pops, etc. All prices are subject to change without notice in the event of fluctuations in relevant exchange rates or alteration in airfare or land travel costs. Prices Posted are the Cash/Check Discounted prices. Please Plan on joining us on this trip!